Recently I looked over my chess books and found an interesting article of Emanuel Lasker. It calls “Final Reflections on Education in Chess”. 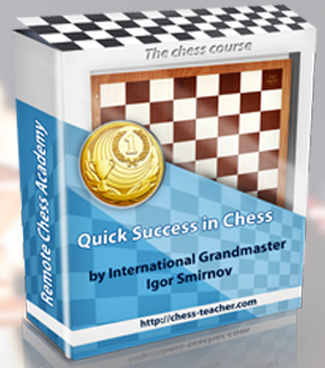 I’ve decided to share it with you, because it contains some useful ideas about chess training. The article was written almost a century ago, but it’s still 100% actual. Education in chess goes on in a most haphazard fashion. Most chess players slowly climb to a certain rather low level and stay there. Now let us consider the efforts made to attain this result: a literature of many thousands volumes, hundreds, maybe thousands, of chess columns in widely read newspapers and magazines, lectures, tournaments… etc – truly an imposing expenditure. We have learnt how to organize manufacturing plants, but not our general education, our mental work. I believe I am safe in voicing the opinion that our efforts in chess attain only a hundredth percent of their rightful result. Education in chess has to be an education in independent thinking and judging. Chess must not be memorized, simply because it is not important enough. You should keep in mind no names, nor numbers, nor isolated incidents, not even results, but only methods (Smirnov: this is what I call “principles” in my courses). The method is plastic. It is applicable in every situation. The method produces numerous results. The years have gone, but nothing has changed. It is not enough (and even not necessary) to train chess 8 hours a day. It’s important to make RIGHT (effective) things. And it’s not necessary to collect a lot of pointless knowledge. Instead we should use the principles (“methods”) of a chess game. You should find the best move and calculate all the appropriate variations.